As a part of Robotics (Stem Education Program) educational excursion trip was organized for students of K.R. Mangalam World School, Greater Noida to Anmol Biscuit Factory on 02 February, 2018. All the members of staff and students had a round of the factory, looked at each and every place including the main manufacturing unit. 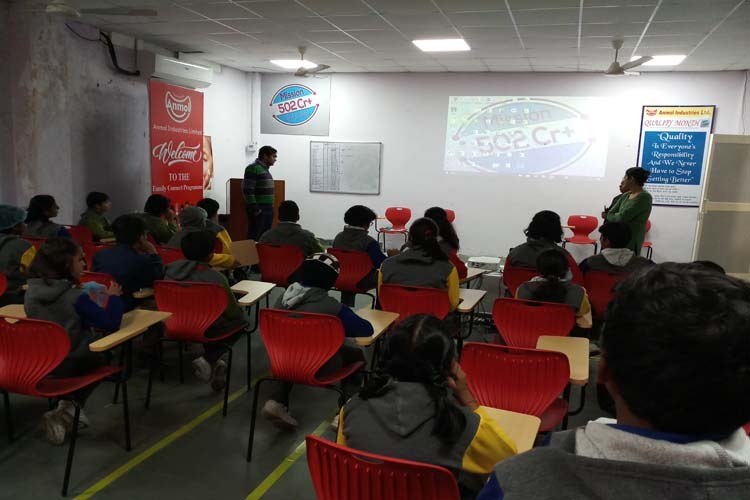 Students were not only glad to see the manufacturing of a variety of biscuits but grasped fair amount of information pertaining to the entire process. Every student was offered a packet of biscuit as a token of a sweet memory.